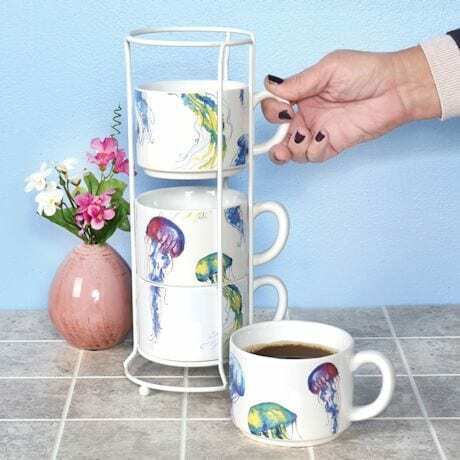 It's like having a jellyfish aquarium, right on your kitchen counter: four mugs stack up to display a vibrant watercolor view of ethereal creatures. 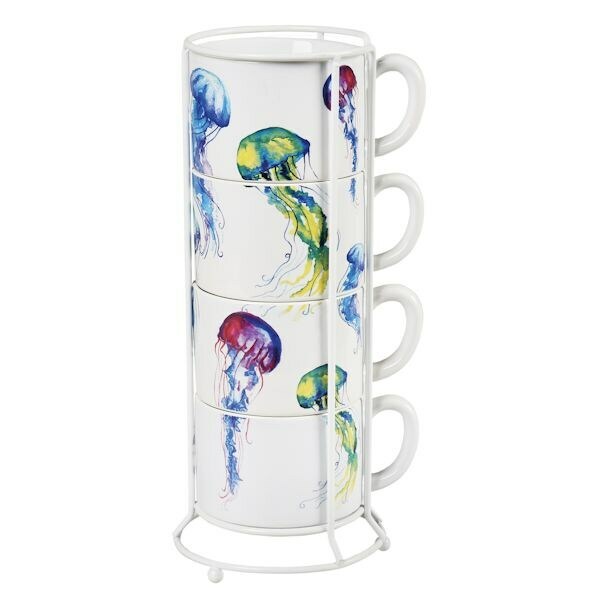 Set of 4 stoneware mugs comes with a perfectly sized white-wire rack. 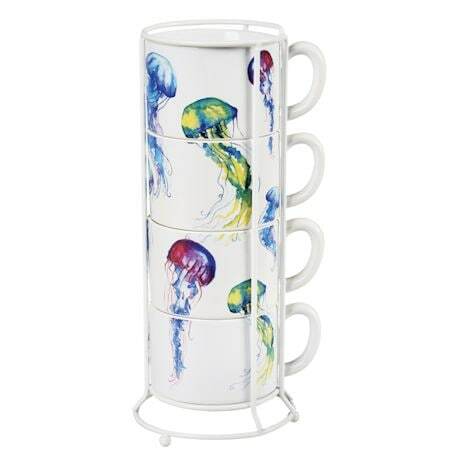 Each dishwasher- and microwavesafe mug is 5¼" dia. ; 14 oz.